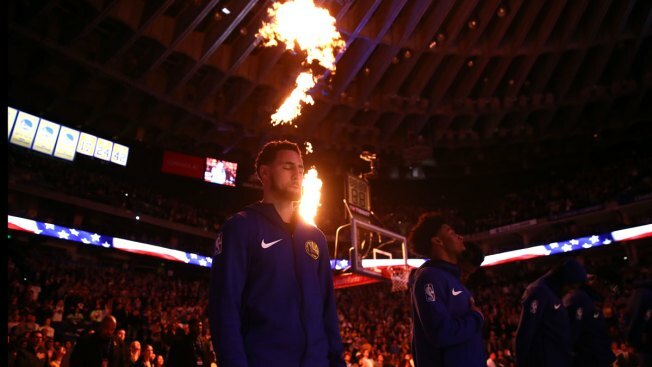 Klay Thompson #11 of the Golden State Warriors stands for the National Anthem before their game against the Cleveland Cavaliers at ORACLE Arena on April 05, 2019 in Oakland, California. Golden State playoff tickets are available at www.warriors.com. The Warriors have issued a fraud alert and warned fans about potentially buying tickets from a non-verified third party. The team says over 800 fans were denied access during the regular seasons due to the counterfeit tickets they purchased.